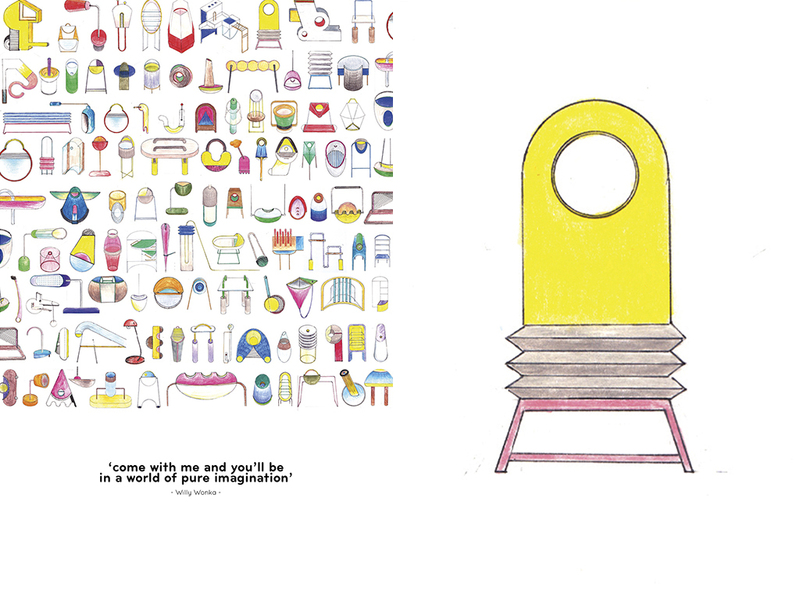 Taking inspiration from the Willy Wonka quote “Come with me, and you’ll be in a world of pure imagination,” designer Jolene Carlier sketched out a series of fantasy objects, focusing on color and shape. 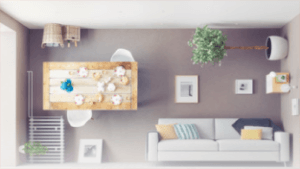 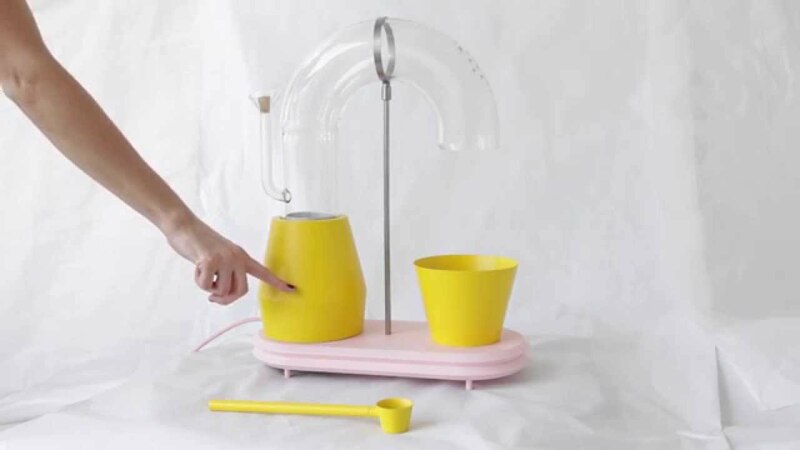 The retro-looking drawings depict strange objects of indeterminate functions, seeming like they could do any number of things. 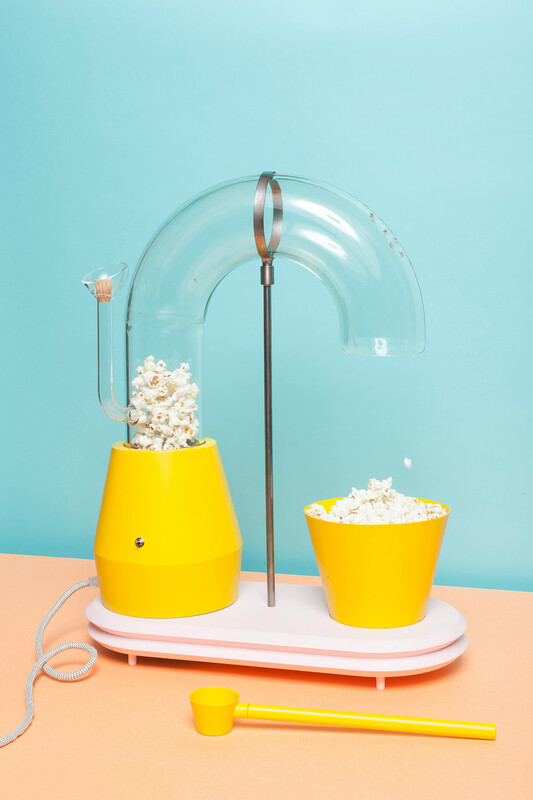 From one of those drawings ultimately came a real-life appliance with an actual purpose: the popcorn monsoon. 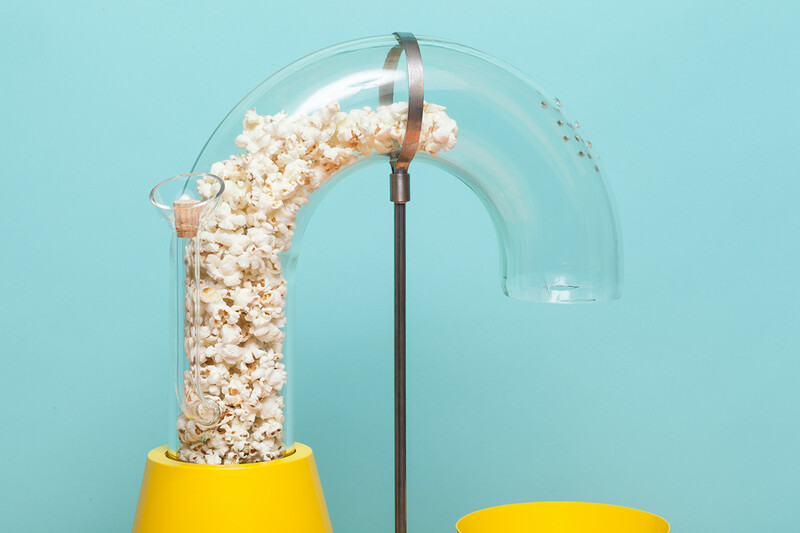 The aptly named machine sends popped corn flinging through a transparent cylindrical chute, putting it on display as the hot air turns it inside-out before it lands in a rather small butter-yellow vessel. 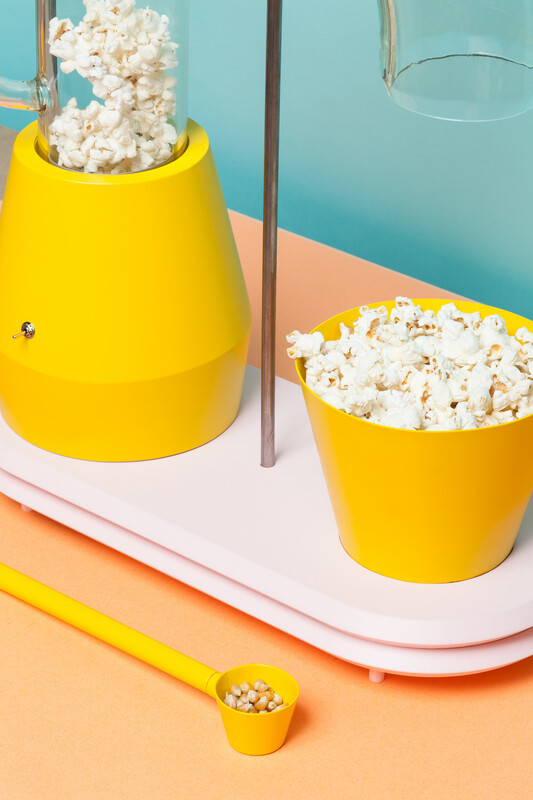 Be careful not to overfill this goofy modern kitchen gadget with kernels, though, or you’ll end up with a flurry of popcorn flying through the air. 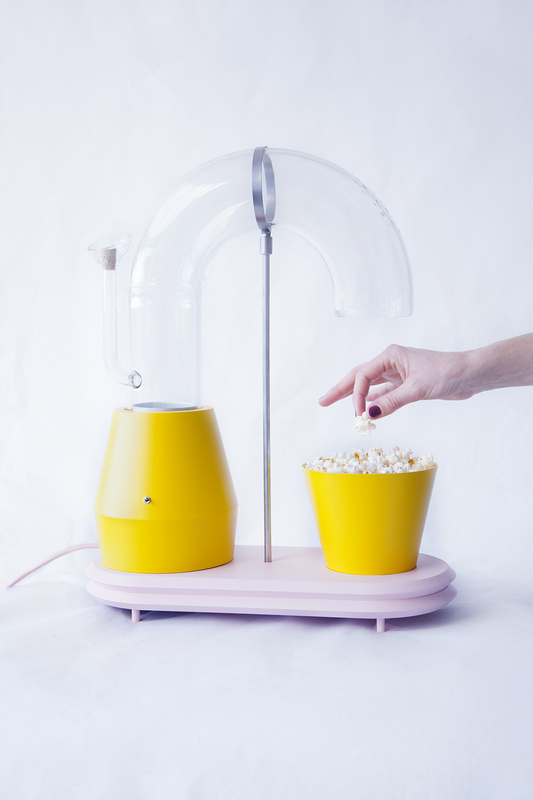 The whole process is playful and fun, and this modern popcorn machine looks cool enough to leave out on your counter full time.